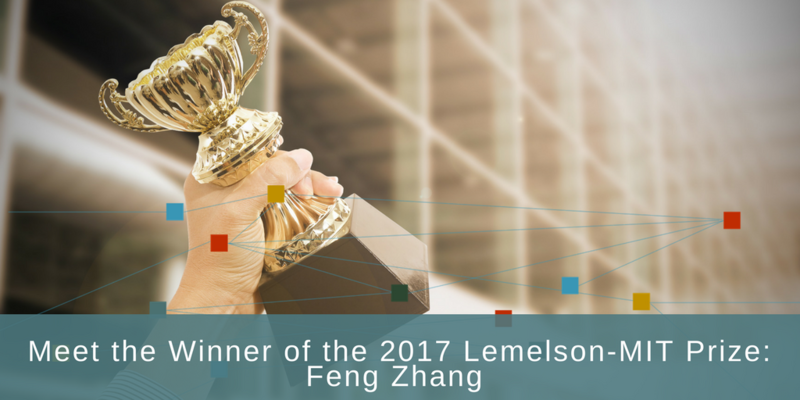 The Lemelson-MIT committee has announced the 2017 winner of the Lemelson-MIT prize, Feng Zhang. Zhang is an Investigator at the McGovern Institute for Brain Research at MIT, an Associate Professor with tenure in the Department of Brain and Cognitive Sciences, and a core member of the Broad Institute of Harvard and MIT. He received his AB in chemistry and physics and his PhD in chemistry from Stanford University. 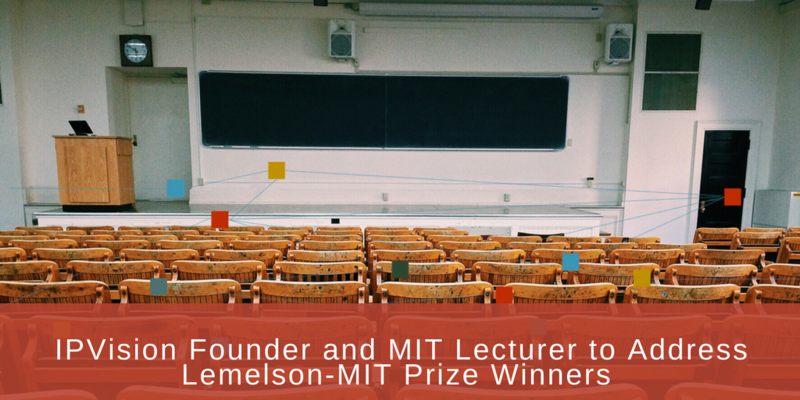 On Thursday, June 12, IPVision co-founder and president Joseph Hadzima will address the 2017 Lemelson-MIT Student Prize winners for innovation. The winners were announced in April of this year and include some of the brightest minds in various fields of study and invention. The Lemelson-MIT Awards Committee announced that the 2016 Winner of the $500,000 Lemelson-MIT Prize is Ramesh Raskar, Associate Professor of Media Arts and Sciences at the MIT Media Lab. According to The Lemelson-MIT Program the Prize "recognizes individuals who translate their ideas into inventions and innovations that improve the world in which we live....Dubbed the "Oscar for Inventors," the Lemelson-MIT Prize is awarded to outstanding mid-career inventors who have developed a patented product or process of significant value to society, which has been adopted for practical use, or has a high probability of being adopted. Dr. Raskar joined the Media Lab from Mitsubishi Electric Research Laboratories in 2008 as head of the Lab's Camera Culture research group. His research interests span the fields of computational photography, inverse problems in imaging, and human-computer interaction. MIT Media Lab’s Camera Culture Group focuses on making the invisible visible–inside our bodies, around us, and beyond–for health, work, and connection. The goal is to create an entirely new class of imaging platforms that have an understanding of the world that far exceeds human ability and produce meaningful abstractions that are well within human comprehensibility. The group conducts multi-disciplinary research in modern optics, sensors, illumination, actuators, probes and software processing. 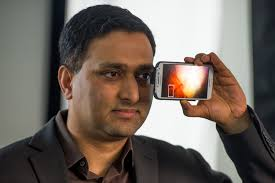 This work ranges from creating novel feature-revealing computational cameras and new lightweight medical imaging mechanisms, to facilitating positive social impact via the next billion personalized cameras. See: MIT Technology Review for articles and stories about his work. As of August 2016 Professor Raskar was listed as an inventor on 71 issued U.S. patents and 26 published pending U.S. patent applications. The Raskar patents have been cited by 805 other U.S. patents owned by companies such as Microsoft (82 patents), Adobe Systems (53 patents), Seiko Epson (46 patents), Fotonation (38 patents) and Canon (26 patents) among a total of 225 organizations holding patents that cite one or more of Dr. Raskar's U.S. patent properties. IPVision provided the Lemelson-MIT Prize Committee with patent analysis reports on each of the semi-finalist and finalist nominees for the 2016 Lemelson-MIT Prize. Obtain a free copy of the IPVision Patent Analysis Report on Ramesh Raskar. The Lemelson-MIT Awards Committee announced that the 2014 Winner of the $500,000 Lemelson-MIT Prize is Sangetta Bhatia, a Howard Hughes Medical Institute Investigator and the John J. and Dorothy Wilson Professor at MIT’s Institute for Medical Engineering and Science and Electrical Engineering and Computer Science and a faculty member at the Koch Institute for Integrative Cancer Research at MIT. According to The Lemelson-MIT Program the Prize "recognizes individuals who translate their ideas into inventions and innovations that improve the world in which we live....Dubbed the "Oscar for Inventors," the Lemelson-MIT Prize is awarded to outstanding mid-career inventors who have developed a patented product or process of significant value to society, which has been adopted for practical use, or has a high probability of being adopted." 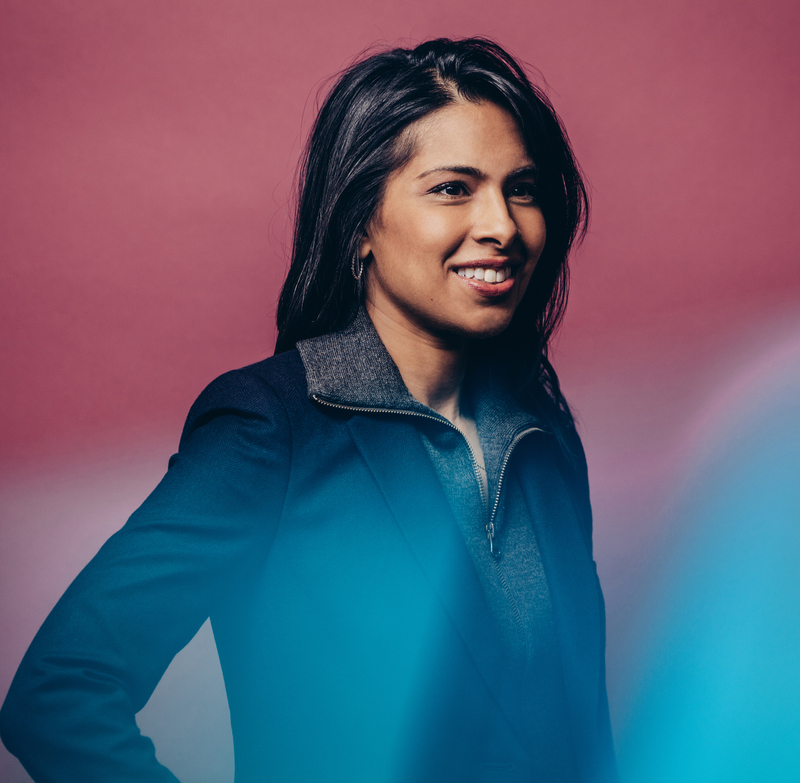 Trained as both a physician and engineer, Bhatia is dedicated to leveraging miniaturization tools from the world of semiconductor manufacturing to impact human health. She has pioneered technologies for interfacing living cells with synthetic systems, enabling new applications in tissue regeneration, stem cell differentiation, medical diagnostics and drug delivery. 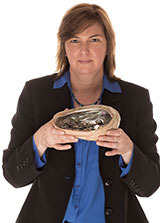 Her multidisciplinary team has developed a broad and impactful range of inventions, including human micro livers which model human drug metabolism, liver disease, and interaction with pathogens, and a suite of communicating nanomaterials that can be used to interrogate, monitor and treat cancer and other diseases. See: MIT Technology Review for articles and stories about her work. As of June 2014 Professor Belcher was listed as an inventor on 11 issued U.S. patents and 27 published pending U.S. patent applications. The Bhatia patents have been cited by 243 other U.S. patents owned by companies such as Sanofi-Aventis, C.R. Bard, Insulet Corporation, BioArray Soulutions and Surface Logix. IPVision provided the Lemelson-MIT Prize Committee with patent analysis reports on each of the semi-finalist and finalist nominees for the 2014 Lemelson-MIT Prize. Obtain a free copy of the IPVision Patent Analysis Report on Sangetta Bhatia. 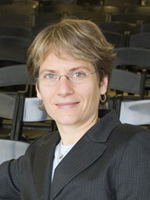 The Lemelson-MIT Awards Committee announced that the 2013 Winner of the $500,000 Lemelson-MIT Prize is Angela Belcher, the W.M. Keck Professor of Energy in Materials Science and Biological Engineering at M.I.T. and a faculty member at the David H. Koch Institute for Integrative Cancer Research at MIT. The focus of Prof. Belcher’s research is understanding and using the process by which nature makes materials in order to design novel hybrid organic-inorganic electronic and magnetic materials on new length scales. She then uses these materials in applications as varied as solar cells, batteries, medical diagnostics and basic single molecule interactions related to disease. Her research is highly interdisciplinary and brings together the fields of inorganic chemistry, materials chemistry, biochemistry, molecular biology and electrical engineering. The Lemelson-MIT Awards Committee today announced that Stephen Quake of Stanford University's Department of Bioengineering is the 2012 Winner of the $500,000 Lemelson-MIT Prize. The Lemelson-MIT Awards Committee today announced that John A. Rogers of the Department of Material Science and Engineering of the University of Illinois at Urbana-Champaign is the 2011 Winner of the $500,000 Lemelson-MIT Prize. The Lemelson-MIT Awards Committee today announced that Carolyn Bertozzi of the UC-Berkeley Department of Chemistry is the 2010 Winner of the $500,000 Lemelson-MIT Prize. According to The Lemelson-MIT Program the Prize "recognizes individuals who translate their ideas into inventions and innovations that improve the world in which we live....Dubbed the "Oscar for Inventors," the Lemelson-MIT Prize is awarded to outstanding mid-career inventors, who have developed a patented product or process of significant value to society, which has been adopted for practical use, or has a high probability of being adopted." Professor Bertozzi's group "studies cell surface interactions that contribute to human health and disease with specific projects in the areas of cancer, inflammation and bacterial infection. We use the techniques of organic synthesis, genetics and biochemistry as tools to study and manipulate complex cellular processes."